Hiring a babysitter to watch your children is a nerve-wracking process for parents. You know you need to go to work or have a date night, but you want to make sure your kids are safe and that the sitter know what to do in case of an emergency. Once you've hired a sitter, have an open, clear and informed conversation with her about safety. Let her know that safety rules are crucial to you, and that it's an important part of this job. 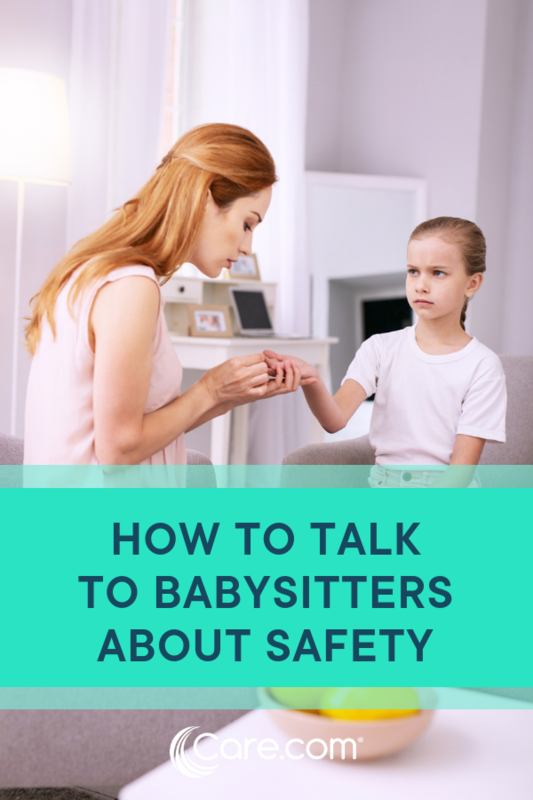 Debra Holtzman, author of "The Safe Baby: A Do-Yourself Guide to Home Safety and Healthy Living," and Chinthani Perera-Lunemann, a child care expert and founder of Mom to Moms Advisor, offer their advice on how parents should talk to sitters about safety. First and foremost, before you hire a sitter, Holtzman recommends that you: "Check references thoroughly. It's wise to conduct a criminal background check, too." To learn more about background checks, visit the Care.com Safety Center. Point out where you store important supplies, such as flashlights, first-aid kits and fire extinguishers. Identify any areas of your home that are off-limits to your children. Clue her in on your kids' favorite hiding spots. Familiarize the sitter with your fire escape plan. Write down everything that you discuss with the sitter so that she has reference materials in your absence. If your sitter is a permanent fixture, incorporate a section on safety expectations in your contract or written agreement. Explain the dosage and instructions for any medications; write these down clearly so there's no confusion. Tell the caregiver about specific foods the child eats or shouldn't eat, especially allergy triggers. Explain the child's bedtime and nap time rituals. You can do this by laying out your rules before your sitter even takes the job. For example, your rules might include that she's not allowed to have friends over, that there's no smoking in the house and that she's not allowed to sleep on the job. Holtzman highly recommends that you write the rules down and discuss them with the sitter ahead of time. Tell your sitter to avoid texting, talking on the phone or using the Internet, unless it's absolutely necessary — if she's distracted, she's not safely watching the kids. Emphasize that children should not be left alone for even one second. Remind the sitter she should not post details of any babysitting job on social media, and she should never post photographs of your family or home. Encourage the sitter to call if she has any questions. Go over rules for leaving the house. Is your sitter allowed to take your kids to the park? Can kids play in the backyard? Is she allowed to drive your kids anywhere? If so, clearly communicate protocol for car seats and seat belts. Remind the sitter to place a baby on its back to sleep at night and at naptime. Reiterate that there should be nothing in the crib but the baby. Use sleep clothing and a wearable blanket or sleepsack. Review Abusive Head Trauma (Shaken Baby Syndrome) and its dangers. Check that the sitter has taken classes on CPR, first aid and child safety; if not, share this article: How to Get First Aid and CPR Training . Discuss how the sitter can reach you in case something happens. Arrange for a neighbor or other trusted adult nearby to be available if there's a problem; introduce this person to the sitter. Post your contact information and important emergency information on the refrigerator. Review last-minute instructions, written down along with all of your other guidelines. Remind sitter to keep doors and windows locked and turn outside lights on in the evening. Instruct the sitter to never open the door to anyone — unless you specifically asked her to. Make sure the sitter knows your plans and when you will return. Finally, as you go, reiterate, "Don't hesitate to call me." When hiring a new sitter, Holtzman says, "It's a good idea that you have trial days (with pay) before offering the job on a permanent basis." This will help draw attention to any problem areas or safety issues that need to be addressed. 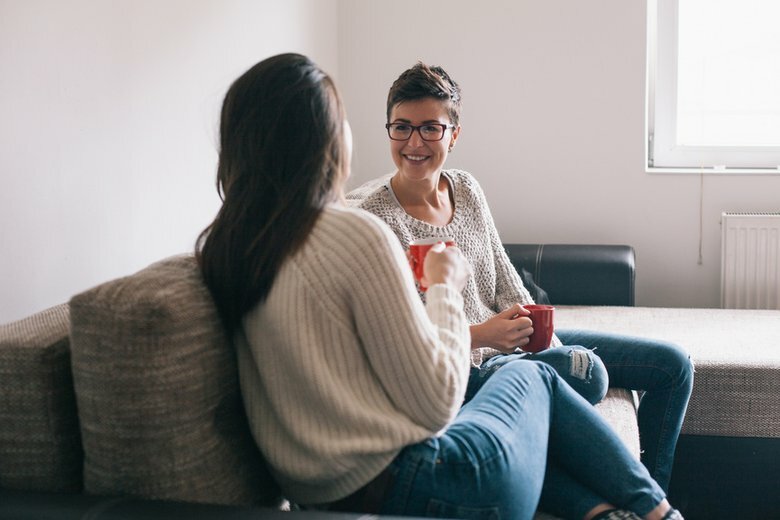 Once your sitter becomes a permanent fixture, keep the lines of communication open and address any matters that come up, as well as any ways to improve things from both a safety standpoint and an overall care standpoint. "This will help you pick up on any signs of stress or dissatisfaction," Perera-Lunemann says. A happy sitter will lead to happier children. Meredith Johns is a freelance writer in St. Louis, Mo. A mother, wife, blogger and avid reader, she has been writing all her life and enjoys sharing her experiences with others. Her work can be found here.